Kim E. Nolan, partner in Cramer & Anderson’s Danbury office, will be a presenter at the 3rd Annual Fundamentals of Landlord-Tenant Law program on April 30, 2014 at the Omni Hotel, New Haven. Attorney Nolan’s practice areas include commercial litigation and representing landlords and property managers in residential and commercial evictions and lease enforcement. 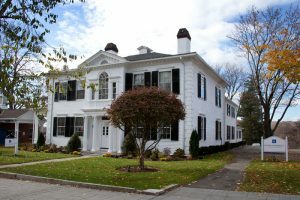 He is a member of the Connecticut Trial Lawyers Association as well as the Connecticut and Danbury Bar Associations.